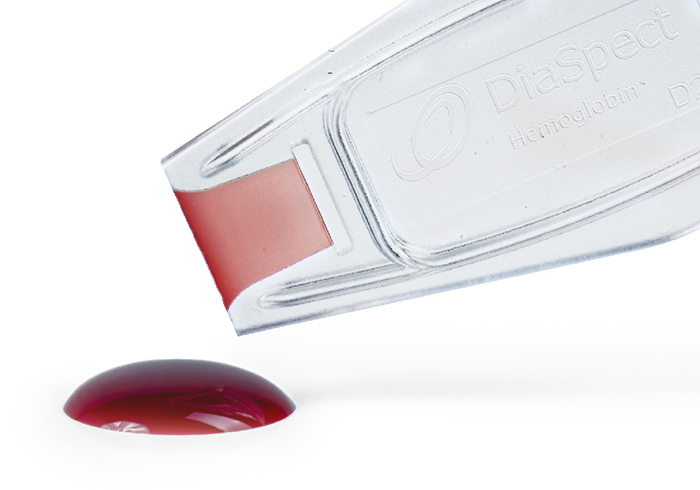 EKF Diagnostics’ DiaSpect Hemoglobin T Low is designed for the quantitative determination of low levels of hemoglobin in plasma and serum specimens, aqueous solutions, or stored or banked erthrocytes. 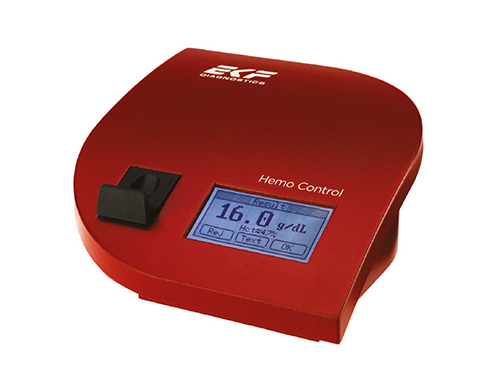 This hemoglobin analyzer has a measuring range between 0.3 and 30.0 g/L (0.03 - 3.0 g/dL) and, because its based on the standard T analyzer, it delivers laboratory quality results within one - two seconds of the microcuvette being placed into the analyzer. 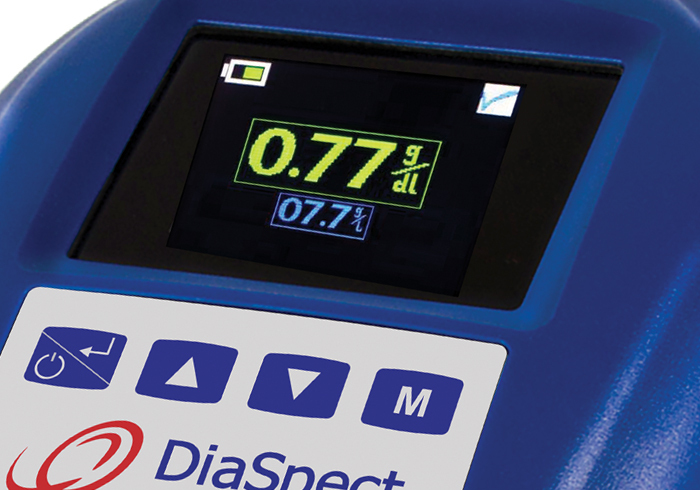 The DiaSpect T Low hemoglobin analyzer has a high quality color display with excellent readability and a "magic touch"self-closing cuvette holder, which avoids contamination of the device optics. The microcuvettes have a shelf life of up to two and a half years and can be used until the expiration date, even after opening the bag. This makes them ideal for settings with low test volumes. The microcuvettes are unaffected by humidity or temperature and are therefore particularly suited for use in hot and humid climates. 2. Insert the filled cuvette and touch the holder gently. 3. Results appear in less than 2 sec. 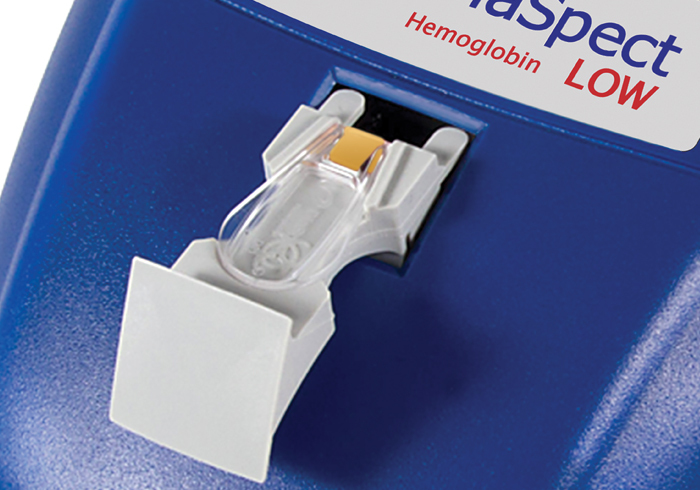 Precise plasma hemoglobin measurement in less than two seconds. What measuring method is used? 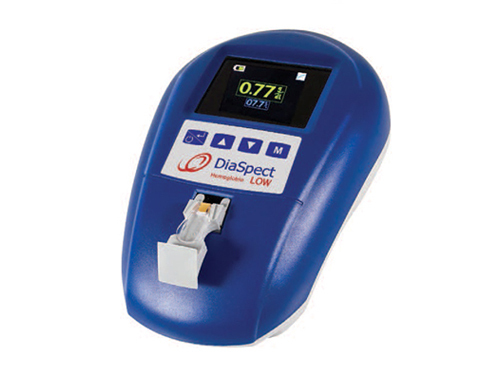 The EKF Diagnostics DiaSpect Hemoglobin T Low is a photometer with a broad spectrum. It also compensates for turbidity and scattering. What are the advantages of reagent-free cuvettes? Reagent-free cuvettes are made from Plexiglass (PMMA) and are unaffected by humidity or temperatures making them ideal for use in tropical regions or those with extremes of temperature. They also have a long shelf life and can be used up to two and a half years after the bag has been opened. Where is DiaSpect Hemoglobin T Low manufactured? 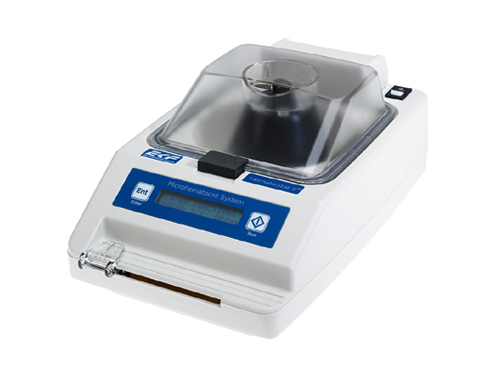 The DiaSpect Hemoglobin T Low analyzer and cuvettes are manufactured in our facility in Sailauf, Germany by DiaSpect Medical GmbH, a wholly owned subsiduary of EKF Diagnostics.